As a part of the people, we take the opportunity in May Day not only to have an enjoyable holiday with families and friends, but also to extend our heartiest thanks to all workers for their service to the nation and the people. Their presence at the heart of the world made everything possible. Their presence made educational process for our next generation convenient. Their presence results in economic development and stability. Their presence improves our social state. Their presence boosts our local and global politics. Praise be to Allah. Today, we are able to see the way our nation and our people is going – created by our passionate and hardworking workers. We are about to reach the peak of peace and prosperity in due course – as long as our workers continue the momentum they have all this while. Membina sebuah negara bukanlah mudah. Sepertimana seorang manusia memerlukan roh dan jasad, sebuah negara juga memerlukan roh dan jasad. Bayangkan sebuah negara tanpa falsafah dan ideologi, sistem dan infrastruktur; apakah erti keberadaannya di tengah-tengah dunia? Sebuah negara memerlukan kepada segolongan manusia yang tahu menilai dan mengaplikasikan erti sebenar setia. Setia tidak boleh diterhadkan definisinya setakat mengikut ke mana-mana sahaja dibawa, mahupun kekal setempat sampai bila-bila. Setia mempunyai takrifan yang lebih berharga daripada takrifan tersebut. Setia menuntut kasih sayang, pengorbanan, semangat waja dan keazaman membara, bukan sahaja dalam diri seseorang, tetapi juga dalam diri segolongan masyarakat. 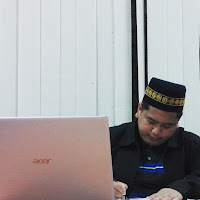 3 April 2016, for the International Islamic University Malaysia (IIUM), is obviously historic; not only for IIUM itself, but also for Malaysia and the world. After some 5 years of struggle, IIUM turned their dream of having a Student Parliament, called IIUM Student Leaders’ Assembly (ISLA), to a reality. That was the day the Rector of IIUM, Professor Dato’ Sri Dr. Zaleha binti Kamaruddin, launched ISLA. That was also the day ISLA took place in IIUM Gombak Campus for the first time after 33 years of the establishment of IIUM. 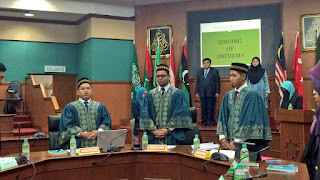 That was also the day we wrote in history’s page: that IIUM becomes the fourth public university in Malaysia and the first international Islamic university in the world having its own Student Parliament; and that IIUM becomes the first public university in Malaysia convening its Student Parliament in English.